In the vein of Bad Blood and Why Be Happy When You Can Be Normal?, an enthralling at times shocking and deeply personal family memoir of growing up in and breaking away from a fundamentalist Christian cult. As Rebecca Stott's father lay dying, he begged her to help him write the memoir he had been struggling with for years. 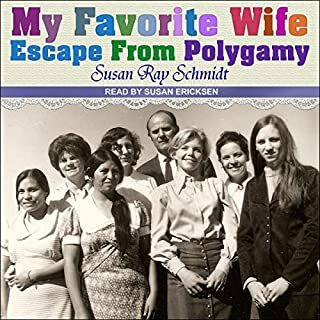 He wanted to tell the story of their family, who, for generations, had all been members of a fundamentalist Christian sect. Yet each time he reached a certain point, he became tangled in a thicket of painful memories and could not go on. The sect were a closed community who believed the world is ruled by Satan: nonsect books were banned, women were made to wear headscarves and those who disobeyed the rules were punished. Rebecca was born into the sect, yet as an intelligent, inquiring child she was always asking dangerous questions. 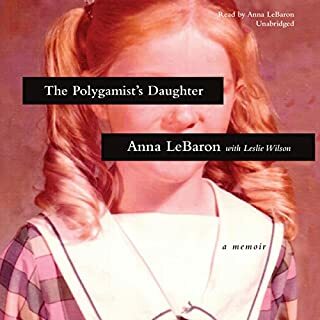 She would discover that her father, an influential preacher, had been asking them, too, and that the fault line between faith and doubt had almost engulfed him. 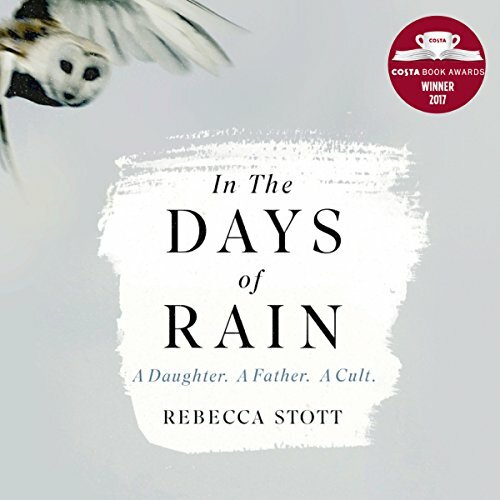 In In the Days of Rain, Rebecca gathers the broken threads of her father's story and her own and follows him into the thicket to tell of her family's experiences within the sect and the decades-long aftermath of their breaking away. A glimpse into a world resembling Orwell’s 1984, only with religion, and continuing into 2018. What happens when men, drunk with power and self-importance, put themselves above the truth. At the same time it’s a story of love and forgiveness. Being an ex-cult member myself, I found this book was deeply meaningful. A fascinating insightful memoir. 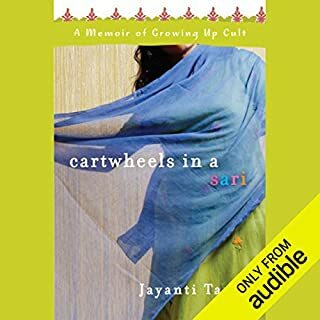 Having bought the book, and never had time to sit and read it, I bought the audio book to listen to it whilst driving. 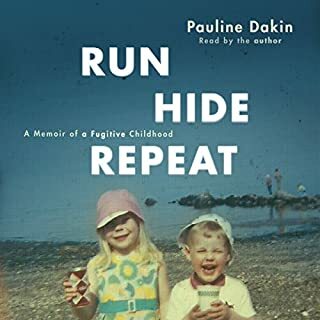 On more than one occasion I found myself sitting in my car at the end of my journey, determinedly listening in to the end of the chapter, and then listening to just one more. Rebecca Stott's reading of her own book takes us right back with her, to different times and the very different world she grew up in. And we're blessed that she's chosen to tell her own - and her father's - story. Rebecca Stott both writes and reads beautifully - her memoir of a childhood bound by the rules and regulations of The Brethren is almost unbelievable, when you realise other families are living like this in the UK and other countries today. Her and her family's gradual realisation that things are not as they should be within the hierarchy of the Brethren brings relief tempered with anger and sorrow. 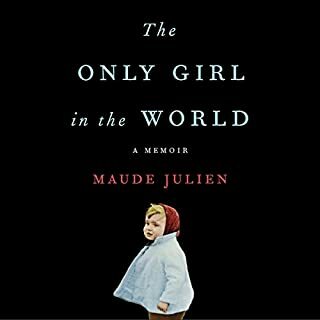 Descriptions of her childhood forays into locked rooms, hidden boxes, to try and make sense of her life are wonderfully recounted and it is with relief that, as the reader follows her into adulthood, she emerges as a sane, sensible, gifted writer, relatively un-haunted by the gods and demons of her past. A very interesting book, well worth listening to. Someone with A level British History and an Art Lit degree wishes to recycle some of her essays. Dull in parts. A bit of virtue and privilege signalling towards the end. Where this book excells is as an account of being a child in a branch of Christianity so strict it morfed into a cult - those straight narratives and internal molologues really matter. And the moral of the story is ... always talk properly to the kids. I found this book very trying to get through. Her story telling isn't very compelling which is amazing as her story is astoundingly interesting. I had to work quite hard to see that through how it was delivered. It's not terrible, but it did grate a little on the long haul. It'd have benefitted a great deal from being at least an hour shorter and to concentrate more on her experiences than the long sad fade of her father. If you're hesitating to get this - you can do better, choose another book! A very honest account and a great questioning style. For a Christian reader so sad that a gospel of love was and is so distorted. The patriarchal culture effectively silencing women was questioned but I'd like to see Rebecca explore more. Perhaps another book? Stott narrates the tale of her family, from the generations first ‘caught up’ in the Brethren to how she, along with her parents and siblings, managed to escape into the outside world. 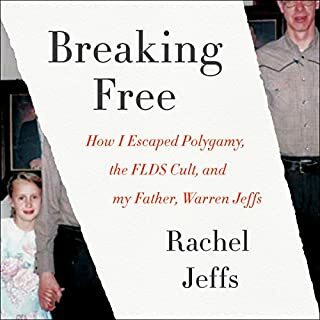 It provides a fascinating insight into the inner workings of a fundamentalist religious regime, or cult, and is a deeply personal account of a family within. Some of the language was, at times, a little melodramatic. I also felt it was a shame that so much of the story was focused on Stott’s father, as I found him fairly unpleasant. I would have liked to have found out more about Stott’s mother, for example, to hear more about how she has coped having left the community she had always known and then after her marriage ended. Nevertheless, worth a read/listen. Rebecca Stott writes well and her account of life in a cult is fascinating and frightening. I recommend reading this book.